The Brides of Rollrock Island (Sea Hearts in the Australian edition) tells a story that takes place over several generations on a barren, exposed and direly beautiful place somewhat reminiscent of the Scottish islands. Potshead, the main settlement on Rollrock Island, is inhabited by an isolated fishing community where gender roles are very rigidly defined. The Brides of Rollrock Island uses several points of view to tell the story of what happens when a local witch, Misskaella, uses her magic to call selkies, or seal-women, from the sea. For a sum of money, the men of Rollrock can acquire a sea-wife of their very own, and one by one Rollrock’s red-headed women are replaced by beautiful, mysterious and demure sea-wives. As the story progresses, readers come to understand the full consequences of this swap – and also why these consequences reverberate for generations. Traditional selkie stories tell us that “if a man steals a female selkie’s skin she is in his power and is forced to become his wife. Female selkies are said to make excellent wives, but because their true home is the sea, they will often be seen gazing longingly at the ocean.” I’ve always been drawn to these stories exactly because they’re so full of interesting subtext about power dynamics in relationships and what we find alluring in men and women and why. There’s so much to them that a good retelling could explore. I’ve always wanted to read a selkie novel that dealt with exactly this – the seal-women’s imprisonment and powerlessness and how they’re so closely (and creepily) linked to traditional definitions of female sexual attractiveness. Katherine Langrish’s wonderful West of the Moon touches on this slightly with a side plot, but I’m greedy and wanted a whole novel. Which is why I was so ridiculously excited when I first heard that Margo Lanagan was working on one. The Brides of Rollrock Island explores exactly the aspects of selkie lore that I find the most interesting, and it does so even more movingly and complexly than I could have hoped. The seal-women that come to populate Rollrock Island are the kind of characters I can imagine some readers disliking, much like they dislike Rebecca’s anonymous narrator, or the heroines of novels like Alas, Poor Lady, Consequences and Thank Heaven Fasting. They’re not in charge of their own destinies; they have things happen to them; they’re not “strong women” or feminist role-models in a narrow sense of the term; they’re the kind of characters that are frequently described as “spineless” or “doormats”. But I still loved them, for reasons best expressed by a quote from Carol Tavris’ excellent non-fiction book The Mismeasure of Woman: “the point is to direct our attention to the straitjacket, not its dutiful wearer”. These women’s lives are defined by an oppressive system, but this doesn’t signal some sort of personal failing on their part. And The Brides of Rollrock Island is nothing if not a story that points at the straitjacket with a big glowing neon sign. None of this is done heavy-handedly, but the cruelty of the system it depicts is very difficult to miss. Both the seal-women and the red-headed women of Rollrock Island are subjected to the tyranny of the image of the ideal woman. The former because they embody it; the latter because they fail to, to varying degrees. As readers realise by the end of Misskaela’s narrative, failing to embody this ideal as completely as she does has emotional consequences for a girl raised in a community like Rollrock. But in addition to this, there’s the economic angle too – women like Misskaela weren’t just denied the possibility of being loved; they were denied a livelihood. But this is what Dominic Mallett believes, and the problem is that he’s wrong. The sea-wives do have their own purposes and plans. They have personalities and agency and hidden longings of their own. They have existences beyond their husbands and sons. And it’s exactly being denied them that causes generations worth of misery. The Brides of Rollrock Island explores the consequences of a relationship model that swaps material security for powerlessness and complete devotion on a group of flawed, human, and believable characters. The men of Rollrock Island are not monsters, and when all is said and done they’re miserable too. They were raised to believe they were entitled to a wives’ “whole being”, that this deal was a fair and reasonable one, and it takes them time to understand that something has gone wrong. Their cluelessness and eventual suffering don’t give them a free pass, but they humanise them and make for a more moving and nuanced story. In a community like Rollrock, being rejected on a romantic and sexual level equals being deemed worthless as a human being, because wifehood and motherhood were all that defined a woman. It’s easy to wish that Misskaella would snap out of it; that she would decide not to let sexual desirability define her, find a way to make a living, and simply walk away from all the psychological traps this arrangement lays out. But the fact is that things like this happen – scars like Misskaella’s are formed every day. The stock we put on female attractiveness has real human costs, whether or not we think people should define themselves by their desirability. It’s a messed up system, but that doesn’t change the fact that it hurts to be made to feel that you can never be loved, that you’re beneath romance and sexuality, that standing outside the relationship market means you’re not a proper human being at all. I love books like this exactly because they don’t focus on individual “strength”, on a single woman’s ability to turn her back on all these unreasonable demands and to build her own happiness. I admire women who do this; I’m interested in their stories and in the exciting possibilities they raise. It goes without saying that I want to see defiant, empowered, happy and successful women represented in fiction. But making it all about individuals overcoming society’s sexism can draw attention away from the fact that the system needs to change. This is why I also want scarred Misskaellas and passive sea-wives in my feminist fiction: they’re the ones who didn’t quite manage to walk away, and I don’t for a moment believe that this means they deserved what they got. There’s plenty more that I loved about The Brides of Rollrock Island: I loved the way the language helped infuse the novel with a strong sense of place. 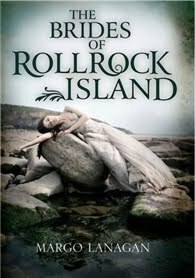 I loved the atmosphere of Rollrock Island itself – barren and beautiful and every bit as alive as any of the characters. And I loved that the different sections of the novel give us what feels like mere glimpses of a much larger story – the tip of the iceberg, in the best possible sense. It’s not that the novel feels incomplete; it’s that it manages to make readers sense how much more must have been going on in this place than we get to see. And when you finish the book, you almost suspect that the puzzle pieces will go on to rearrange themselves, and whenever you read it again you’ll see entirely different parts of the whole and deepen your understanding of what really happened in this island. Margo Lanagan has done it again. The Brides of Rollrock Island is a beautiful book, and one that will stay with me for a very long time. For the first time in my life had been beautiful, and lovable, whether Potshead people thought so or not. I felt cleansed of the rage and misery that had made up so much of me in pettier company, in prettier. I felt freed to please myself, to find my way as I would, in a world that was much vaster than I had realized before, in which I was put one star-gleam, one wavelet, among multitudes. My happiness mattered not a whit more than the next person’s – or the next fish’s, or the next grass-blade’s! – and not a whit less. How piddling I was, in the general immensity! And how lovely it was to be tiny and alone, to have quickened to living for a moment here, to be destined soon to blink out and let time wash away all the mark and remembrance of me. ‘This is not a madness; this is a well-conjured scheme. Listen.’ And he mentioned a sum of money. ‘Curse it, yes I will.’ He thought a while, then mentioned a half of the previous sum. ‘But,’ he said, waving aside my laughter, and he promised me this and this of his earnings in the two years coming. The effect within me as he laid out these terms was a great relaxing of a tension I had not even known I was suffering. It was one thing not to want a husband, I realized; it was quite another not to need one for the roof over your head, for your meat and bread, for the shoes on your feet and the coat on your back. I lay there pleased with myself for this wish, please with my own kindness uttering it to my mam, pleased that my plan for my future self, who would become a kind and admirable man. All was well with that day, the warmth of the sun and my mam and me on our island of blanket, other mams at a distance, other boys running and kicking up the water. For a moment our conversation ceased to make sense. I frowned up at Mam, hands behind my head still, the little leisurely gentleman. She nodded. ‘Leave her as a seal,’ she almost whispered, as if testing the words in her own mouth. I pitched myself at her, instantly jealous of those daughters she did not have, the comfort they did not bring. ‘Sons are a great comfort!’ I clung on and kissed her bossily, kissed away that solemn look and made her laugh at me, pushed all that talk of the future into the future where it belonged. And I was so occupied with obtaining these assurances, and pressing my need for them upon her, that it did not occur to me even to wonder, let alone to ask her, why at all, in the first place, she might require comforting. 1 I’m borrowing, with permission, my partner’s wording in relation to Lana Del Rey’s persona, because it’s just so perfect. I probably should have pre-ordered this because I knew I was going to want to read it at some point. I am glad you enjoyed it! Not an author I've actually heard of but you made the book sound mesmerising. Definitely an author and book I will have to make a note of. Oh, I want to read this. I love selkie lore. I liked my previous exposure to Lanagan which was of course thanks to you! And who couldn't love selkies? One of my favorite movies ever is "The Secret of Roan Inish" directed by John Sayles. I didn't realize Lanagan had a new book out. I'm not sure this subject would particularly interest me in another author, but I respect her a lot. I'll be on the lookout for this one and hopefully my library will order a copy. Thank you for this detailed analysis. I'm working on a book from a selkie child's point of view so I found this fascinating. "The stock we put on female attractiveness has real human costs, whether or not we think people should define themselves by their desirability. It’s a messed up system, but that doesn’t change the fact that it hurts to be made to feel that you can never be loved, that you’re beneath romance and sexuality, that standing outside the relationship market means you’re not a proper human being at all." Of course, you had me at mentioning Delafield yesterday. I really, really, really need to read this. lol I have no idea what selkies are. But....this sounds amazing. And that last passage you quoted was very moving and thought provoking. I have to admit I read 100 pages of Tender Morsels and I just didn't get into it but I don't know it might have been the time pressure of being a library book or something. I do want to give this a try as it engages ideas I've been thinking about as well. Great review Ana! Oh and also about why we need women who don't quite make it out is causing me serious reflection on some other stories. I have never read anything about the selkies, and other than hearing the name, I have never been exposed to them before. I think the ideas behind this book, and the book itself sound fascinating and like something that I could really delve into. This does sound like an incredible book, and I am glad to have come across it here today! Thanks, Ana! The setting sounds wonderful, but I'm not so sure about selkies. I have been working my way through Lanagan's short story collections, just having finished Black Juice. I was going to read Red Spikes next but I am thinking that I am going to read Sea Hearts next instead and then go back to the short stories. Oh, wow, this sounds incredible. Thank for such an in-depth, thoughtful review! I was just telling a professor of mine about how awesome you are and you bring me this! This sounds absolutely fascinating. Onto the book list it goes! I remember reading a very old poem about a selkie woman who found her skin and left her family for the sea. I can't remember the name but hopefully I can find it soon. Chris: I hope you enjoy it! Iris: Yes you do! I really think you'll love it. Amy: Well, now you know a little more about selkies :P You know how much I love Tender Morsels, but I understand that it's not for everyone. I would really love to hear your thoughts on this. Fence: I can't wait to hear what you think! Emily: I hope you love it as much as I did if you decide to pick it up! Aarti: Nope, definitely not surprising :P And thank you! As I was telling Heather above, it would be awesome if the two of you decided to discuss this one. I'm so excited to read this book :). I agree about feminist lit needing more characters who CAN'T escape the patriarchal boundaries of their lives, and I'm so glad Ms Lanagan wrote a book filled with grey lines on what relationships in that situation are like. The idea that the selkies only have sons is particularly interesting - isolating. Women forced to prolog ate their own chains. How the hell did I miss this review until now?!! I can't figure out how I saw the post after this one, but not this one. Oh well, at least I saw it now! For I would have definitely been missing out!!!! I'm sure this isn't out here yet, but as soon as I've got an address, I guarantee the book depo will be getting an order from me. :D Your review, Ana, is simply exquisite. I know it may sound strange but I've been wanting a selkie book for a long time now (since I saw The Secret of Roan Inish, I guess). Couple that with a witch and I definitely need to put this one on my wishlist! Selkies!!! Margo Lanagan!!! Why doesn't this come out here until September?! You're torturing me. Wow! This sounds great. I haven't read anything by Lanagan yet, and I think I'd rather start with this than Tender Morsels. So I've just finished this and had to come read your review after posting mine. And I totally agree with all your reasons for loving this book. Especially when you talk about individual strengths and weaknesses and how not everyone can be that person who stands up and shakes off culture's influence. Cause really, can any of us? But I don't know, it just made me so uneasy reading that I can't love it. I like it, a lot, and I think it is a great and awesome book. And I think it will stay with me for a long time precisely because it highlights all those things about people and society and expectations. Jason: There's something happening with the lack of daughters specifically that I didn't want to give away, but as I'm sure you can imagine it's really heartbreaking :( I can't wait to hear your thoughts on the book. Debi: Thank you! And I just know you'll love it. Kristen M: I really need to try to find that film! Christy: Tender Morsels is one of my favourite novels ever, but I agree that this makes for a better introduction to Lanagan's writing. Susan: Sorry :( I wish publishers wouldn't do that. Anyway, I think there's definitely a widespread problem with society expecting women to do that and punishing them BOTH for doing it and for failing to. And I love seeing a novel address it without resorting to any form of victim blaming. Fence: It IS an uncomfortable novel, that's for sure. That didn't stop me from loving it, but I completely understand that different readers have different mileage when it comes to that sort of thing. Fantastic review: I had a couple of her books on my list, but now, not only have I added this one, but I feel as though I want to add ALL her books, just on the strength of your discussion of this one. Thanks! 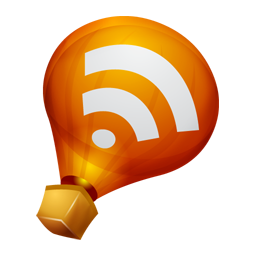 Did you see that Margo Lanagan mentions and quotes your review which she liked a lot? I'm sure you did but just in case. Your reviews always make want the book immediately. It's not available for order where I'm from - yet - but I'm trying to change that. I followed over from your best of 2012 post, largely because this is the best book I read this year. One of the things that struck me was the longing in all the characters -- what they wanted, all of them, was never fully available (even when the wives returned to their true lives, there were things they lost, whether it be the boys who were captured or the husbands I have to believe they love on some level). And Misska! To find she had three boys. Heartbreaking. The cyclical nature of the story: the past, the present, the probably future said so much to me about desire and choices and human nature. I'm very curious at present about how an author pulls off a cautionary tale without becoming preachy. This book really hits the mark. The only other selkie books I've read might interest you, too (the selkie is male and his skin isn't hidden): Betsy James's Seeker Chronicles. She's written a fourth book in the series that has yet to sell...and was kind enough to hand over the manuscript to me. I'm so looking forward to digging in!